Ever wonder why bridesmaids dress alike? 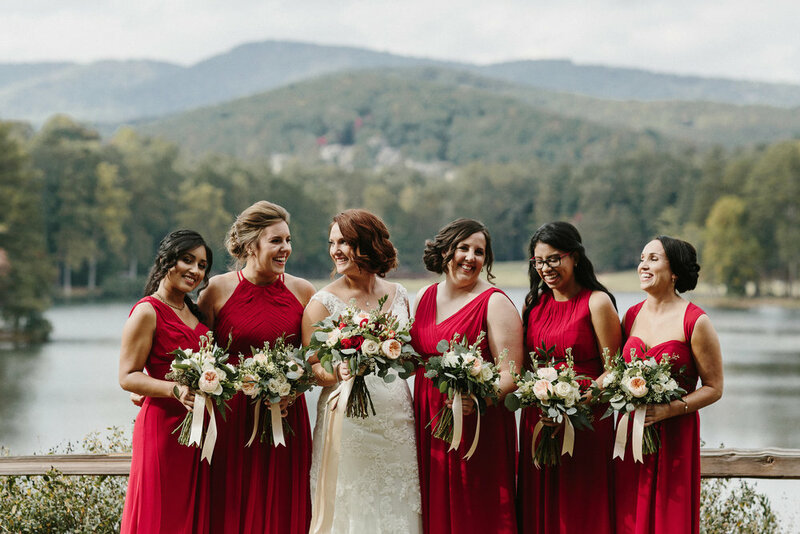 A long held tradition, dating back to the Romans or the Middle Ages, depending on the source, bridesmaids were to dress alike (and just like the bride, in fact) to confuse evil spirits and draw attention away from the bride. Fast-forward to today, most wedding parties have stuck with the tradition but strayed from being so matchy-matchy. Here are our best tips for perfecting the mismatched bridesmaid look. Choose some designers or actual dresses that you like and share them with your bridesmaids. Be involved in helping them choose the dresses as well to ensure you both like the selection. Create a Pinterest board going or start an email chain to keep everyone looped in. Be sure to include variety. You’re going for the mismatched look after all. Make sure none of the dresses are too similar. However, cohesive is key. Don’t allow for any outlying styles or colors that are going to completely ruin the collection of looks. Every girl is different. Different styles, personalities, preferences, and body types. 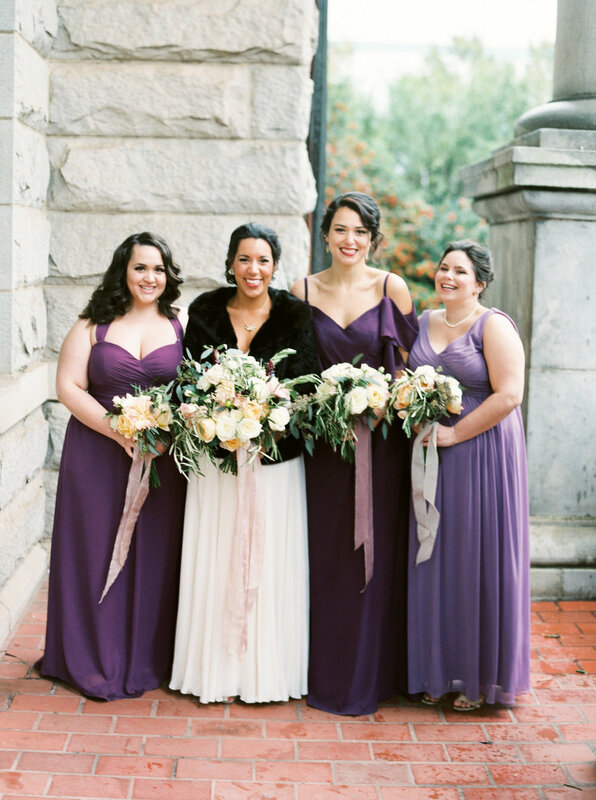 Make each and every bridesmaid feel equal parts beautiful and comfortable. Your squad will thank you for it. Consider something to make your crew stand out. The laissez-faire, choose-whatever-ya-want approach seems great for all involved, but remember that you choose these ladies for a reason. You want them to stand by you on your most important day and in turn, you want to thank them for being by your side in life. Most important of all — ask yourself if the looks you’ve chosen are appropriate for your wedding style. The length, fabric, colors, and formality should be aligned with the type of wedding you’re having.